Mayo Clinic researchers, reporting results of the SMART study, have shown that abnormal results on a stress electrocardiogram are an independent predictor of cardiovascular events such as heart attack, heart failure, hospitalization for chest pain, and death in perimenopausal or menopausal women. 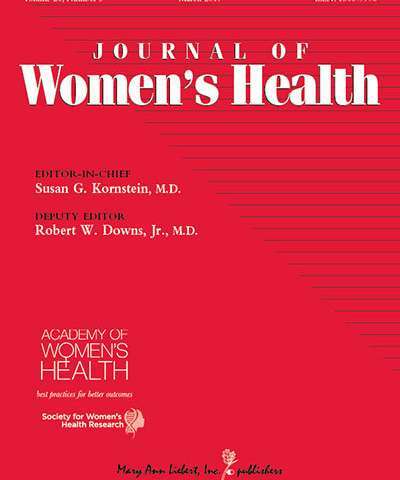 The study, which also demonstrated the predictive value of the blood biomarker brain natriuretic peptide (BNP), is published in Journal of Women's Health. The article "Prognostic Utility of Stress Testing and Cardiac Biomarkers in Menopausal Women at Low to Intermediate Risk for Coronary ARTery Disease (SMART Study): 5-Year Outcomes" is coauthored by Sharon Mulvagh, MD, Mayo Clinic (Rochester, MN) and Dalhousie University (Halifax, Canada) and colleagues from Mayo Clinic (MN and Phoenix, AZ), Memorial Hospital (Jacksonville, FL), Assiut University (Egypt), and Arcispedale Santa Maria Nuova (Reggio Emilia, Italy). This prospective study evaluated the predictive value of stress testing and cardiac biomarkers over a 5-year follow-up period in women who were at low-to-intermediate risk of a cardiovascular event. "Clinicians need effective and proven noninvasive tools to assess women of low-to-moderate risk of a cardiovascular event who present with chest pain and related symptoms," says Susan G. Kornstein, MD, Editor-in-Chief of Journal of Women's Health, Executive Director of the Virginia Commonwealth University Institute for Women's Health, Richmond, VA, and President of the Academy of Women's Health. "In this study, Mulvagh et al. established the predictive value of stress ECG and resting BNP and emphasize the importance of future research to discover cardiac biomarkers of myocardial ischemia at earlier stages in women." Why do black women have a higher risk of death from heart disease than white women?